On May 11, 2018 two Russian TU-95 “Bear” strategic bombers were intercepted by U.S. Air Force (USAF) F-22 stealth fighters in international airspace off the coast of Alaska, according to North American Aerospace Defense (NORAD) Command. According CNN, the Russian long-range bombers flew into the Air Defense Identification Zone (ADIZ), which extends approximately 200 miles off Alaska’s western coast. The Russian aircraft were “intercepted and monitored by the F-22s until the bombers left the ADIZ along the Aleutian Island chain heading west,” and never entered U.S. airspace, according to the statement. The last such intercept of Russian aircraft by U.S. jets took place on May 3, 2017. 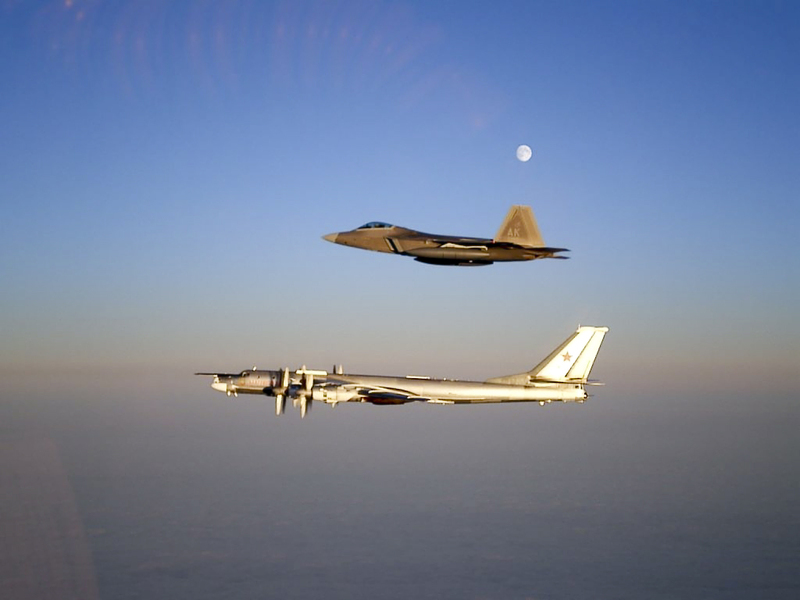 On that occasion, the F-22s, which were supported by an E-3 AWACS and a KC-135 tanker aircraft, intercepted the Tu-95s about 100 miles southwest of Kodiak, told Wilsbach. The bombers were escorted by Sukhoi Su-35 fighters and were unarmed. No verbal contact took place between the “Bears” and fighters crews.